When holidays come, grief can go haywire. Most everyone knows that. But what do you do if you are grieving a parent and your remaining father or mother is dating or has married someone new. How do you handle those holidays? Perspective and introspection may help you understand and cope with the loss and a sudden gain of what you may think of as a “replacement”. A new love in any context, including grief, is not a replacement. The displacement that occurs after grief can be so jarring and leaves many dissociated for a long time. There is no “right” amount of time to wait to make new associations or to rekindle established ones in a new way. Yes, healing takes time, but everyone is different, particularly when aging is part of the equation of loss. 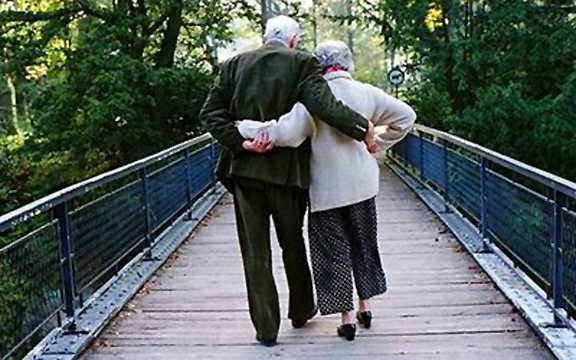 The older people are the more likely they are to suffer from loneliness. It can be a silent killer. Loneliness causes mental disturbances, prolonged grief, guilt, physical stress related illness and many other negative emotions. On the extreme end, some people choose to take their lives when they feel alone and think they will stay that way. Many choose to get back into life at any age and make connections to keep the loneliness at bay and away. If you find yourself having to “welcome” a new person into your family celebrations, think about how you can be supportive even if you don’t approve. Gain perspective from your parent’s point of view. How could Dad or Mom move on so fast? This is too soon for them to be with someone else, isn’t it? How can they replace (Mom, Dad, Partner) so SOON! Being introspective can also help. Ask yourself some questions. How would I feel if I were alone at this age? Why am so angry? Is my anger from grief or fear of loss of parent or things we share to me? Why am I so upset? How can he/she expect me to accept someone new? Many times, the answers you get may feel like you are protecting your parent, but you may really be protecting yourself by indirect deflection, projection and judgment. It is important to note, there are times when an unsuspecting lonely parent can become a victim of undue influence or be taken advantage of when lonely. There are people out there who are like buzzards flying over the broken hearted and know when to swoop in and harm your parent financially, physically or personally. That is elder abuse. Of course, you are encouraged to share your concerns with your parent, if that is the case, but you can only go so far into your parent’s personal life. They could only go so far with you. We all have individual freedom and choices and giving your parent a sacred and safe place to enjoy at least some part of the holiday can be done graciously and diplomatically. The last thing your parent needs to do is feel trapped to choose between you and a love interest or new spouse. The core basis of the entire human condition can perhaps be summed up by saying, we all want to love and be loved in return and accepted for who we are. That is true for the elderly and grieving, too. Billy Graham once said we “should not judge how anyone grieves.” We are all simultaneously the same at the core and different in the way we process loss. Appreciate your parent at this time of giving thanks and giving gifts. Proces anything you may have to say to them that was unresolved or need tending to but don’t forget the element of tenderness. The one thing you may have learned from your departed parent is how precious, brief and fleeting life is on this side of the veil. Kindness to someone new is the greatest gift you can give in any season of life. When grieving the loss of a parent, you can gain so much by recognizing and neutralizing your fears, frustrations and sadness. As you begin to learn to celebrate the holidays in a new way, learn to integrate a new person or two into your life and to the life of your parent. Let gratitude that they are not lonely help change any negative attitude you may have.